This page contains links to web-based mathematics resources. Click on a heading to see more information. For information on computer software, check our Software page. Online encyclopedias contain a wealth of information, be it user-generated or professionally vetted. The hyperlinked nature of an online encyclopedia makes reading about related topics as simple as clicking a link. Courseware is software or organized content that can be used in the preparation or teaching of a course. This section contains links to web-based courseware resources. Downloadable courseware is listed on our Software page. WikiBooks is a free, collaborative online collection of textbooks, including a set of mathematics texts. As always with online content, these are under construction. CCNYMath.net is a Flash-based set of instructional web pages written and designed by Stanley Ocken, Professor of Mathematics at City College, and the late Jack Schwartz, a former CCNY math graduate and Professor Emeritus of Mathematics and Computer Science at New York University. You may contact Professor Ocken with any questions or suggestions for the site. You will need to have a Flash plug-in installed in your web browser to use this site. Baruch College’s Student Academic Consulting Center links to sample handouts and exams for some of Baruch’s math classes, as well as math tutorial videos in Baruch’s Digital Media Library. Video tutorials include college algebra, precalculus, and calculus. You must have a web browser with a plugin capable of playing QuickTime movies to view these videos. Calculus+ is a series of tutorials in precalculus, calculus, linear algebra, and differential equations, using Maple 8 or higher. These projects were developed by CUNY faculty and tested in CUNY classrooms from 1998-2004. Project Euler is a collection of mathematics and computer science problems that require a combination of mathematical insight and programming skills to solve. They are primarily numerical in nature. In Nick’s Mathematical Puzzles, Nick Hobson, a worker in computer software with a mathematics background, has collected over 150 mathematical puzzles of varying difficulty. The New York Times‘ crossword puzzle blog Wordplay has a new Monday feature, “Numberplay”. It was previously the “Monday Puzzle” feature in the now-closed TierneyLab science blog. Futility Closet, “an idler’s miscellany of compendious amusements,” has been blogging about various topics since 2005. Among the varied topics are science & math and puzzles. Ask Dr. Math, at Drexel University’s Math Forum, is a question and answer service for math students and teachers. You can search their archives on multiple knowledge levels, or ask a question to the forum yourself. Drexel also hosts a site of links called the Internet Mathematics Library. At Interactive Mathematics Miscellany and Puzzles, Alex Bogomolny indexes over a hundred Java-based mathematics and puzzle applets. Wolfram|Alpha, the Wolfram “computational knowledge engine”, calculates answers to various questions using Mathematica packages and data from multiple online sources. 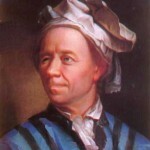 The Tricki, a “a repository of mathematical know-how,” is a wiki which seeks to codify methods of mathematical technique and problem-solving. MathIM allows anyone to chat online using LaTeX expressions. LibraryThing is an online book cataloging site. They have a forum about math and math books. You can also look at the page of books tagged “mathematics” by users of the site. 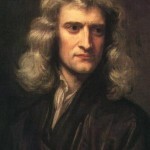 Sir Isaac Newton, physicist, mathematician, and philosopher, is one of the founders of calculus.